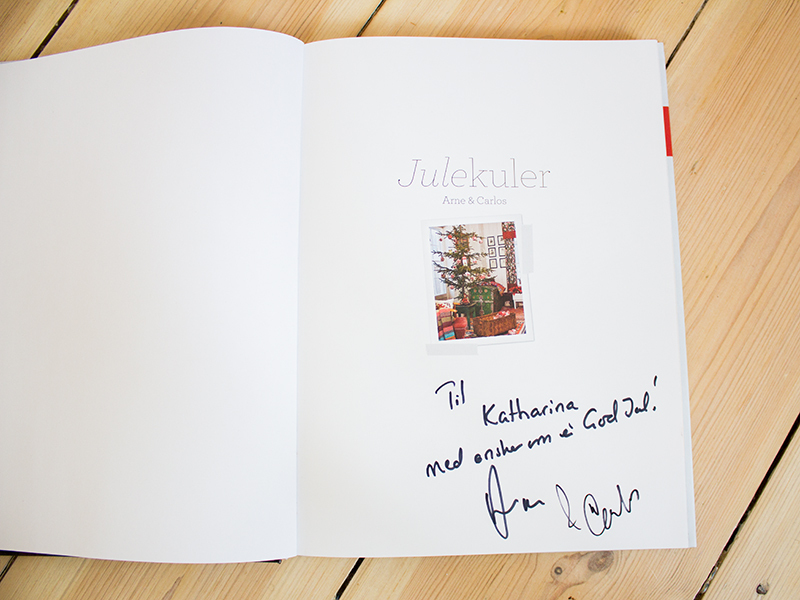 For my birthday last year I received a book from my friend by Arne & Carlos, which I wrote about on the blog. 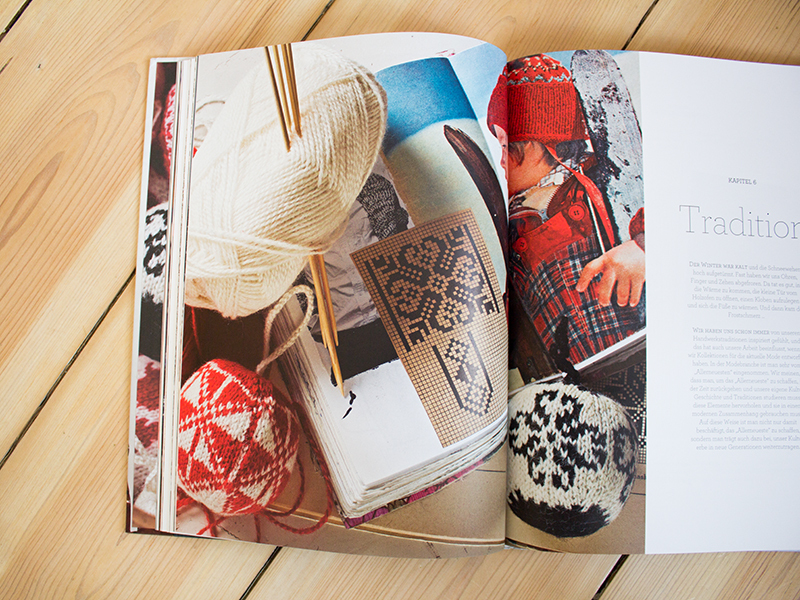 The book is called “Knitting Norwegian Style” where they present knitting projects inspired by old traditional Norwegian knits. A great book! I already wrote about it back in January. And I have also started on one of the sweaters from this book, which my boyfriend wished for. Back in December I bought this one with the Christmas balls. As you know already, I won a meet’n’greet with Arne & Carlos in Berlin just before Christmas (the best way to start a Christmas holiday). At the meet’n’greet I purchased their probably most famous book “55 Christmas Balls to Knit: Colourful Festive Ornaments“. 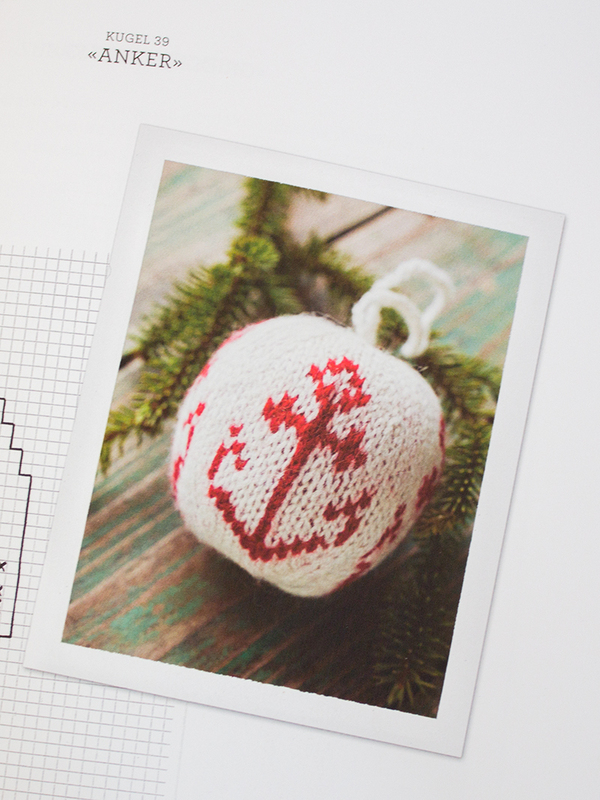 I know the thought of knitted Christmas balls sounds a little odd at first, but if you like Scandinavian style Christmas trees, you’ll most probably warm up to the thought pretty quickly. I have only good things to say about the book: As my very first book from them it is made with lots of love and attention to detail – it really shows. In the beginning you get a more general introduction as to how to knit the balls, how to stuff the balls (I am aware what this sounds like), the best technique for increasing and decreasing, embroidering the balls followed by heaps of individual patterns for the different balls. 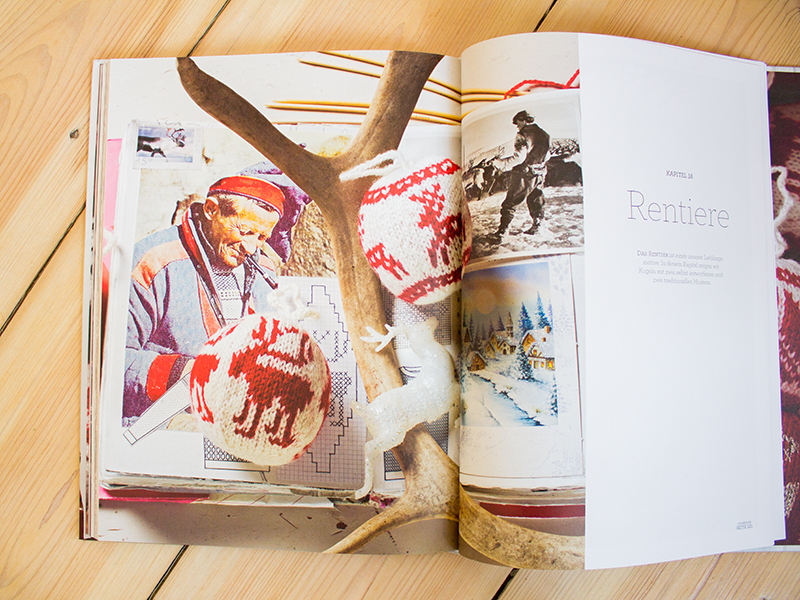 The whole book is very pretty and it’s a pleasure to look through it – again and again. At the meet’n’greet they also showed one ball they knit with tweed yarn, felted and embroidered. I’ll definitely be trying that, wanting to have a go at tweed yarn anyway. Schön und ansprechend ist auch das Buch, das ich kurz vor Weihnachten gekauft habe. 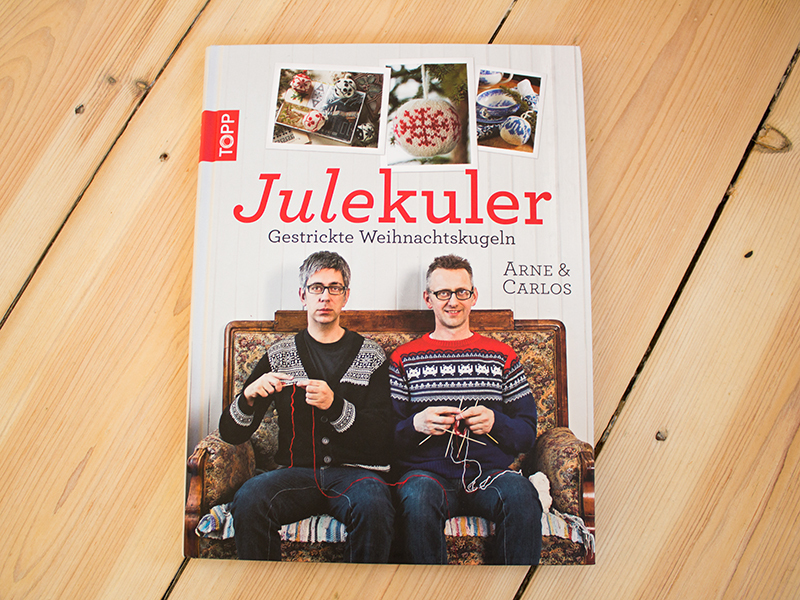 Mitte Dezember hatte ich ja ein Meet’n’Greet bei Dawanda mit Arne & Carlos gewonnen und habe dort deren wohl bekanntestes Buch “Julekuler: Gestrickte Weihnachtskugeln” gekauft. Ich weiß, die Idee von gestrickten Weihnachtskugeln hört sich anfangs etwas seltsam an. Falls du aber generell den Stil skandinavischer Weihnachtsdekoration magst, wirst du dich schnell mit dem Gedanken anfreunden. Ich habe nur Gutes über das Buch zu erzählen. Das Layout ist super, die Bilder aufwendig und die Ideen für die Kugeln einfach klasse und vielseitig. Anfangs wird eine eher generelle Einführung in das Stricken der Weihnachtskugeln gegeben, erklärt wie die Anhänger gestrickt werden, wie man am besten zusammenstrickt oder extra Maschen anschlägt, die Kugeln bestickt gefolgt von massig Vorlagen für die verschiedensten Kugeldesigns. Es ist wirklich ein Vergnügen, das Buch wieder und wieder durchzublättern. Bei dem Meet’n’Greet hatten die beiden auch eine Weihnachtskugel dabei, die sie mit Tweedgarn gestrickt, gefilzt und nachher bestickt haben. Das werde ich auf jeden Fall ausprobieren, da ich ja sowieso gerne einmal Tweedgarn ausprobieren möchte.